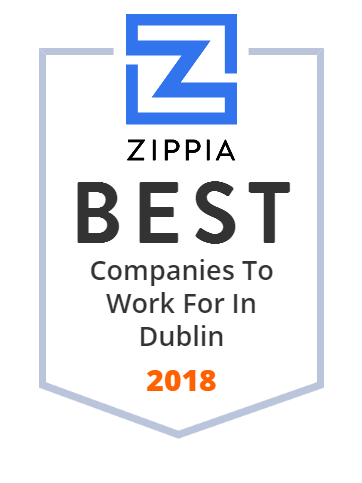 We hand-curated a list of the best companies to work for headquartered in and around Dublin, OH using data on salaries, company financial health, and employee diversity. Cardinal Health, Inc. is a Fortune Global 500 health care services company, and the 14th highest revenue generating company in the United States. Its headquarters is based in Dublin, Ohio. The company specializes in distribution of pharmaceuticals and medical products, serving more than 100,000 locations. The company also manufactures medical and surgical products, including gloves, surgical apparel and fluid management products. In addition, it operates the largest network of radiopharmacies in the U.S. Cardinal Health provides medical products to over 75 percent of hospitals in the United States. Fast Switch is a national, high-growth, IT (Information Technology) Staffing and Recruiting firm. Wendy's is an American international fast food restaurant chain founded by Dave Thomas on November 15, 1969, in Columbus, Ohio. OCLC Online Computer Library Center, Incorporated d/b/a OCLC is an American nonprofit cooperative organization "dedicated to the public purposes of furthering access to the world's information and reducing information costs". Dublin Coffman High School is a public high school located in Dublin, Ohio, United States, a suburb northwest of Columbus, Ohio, which was formerly known as Dublin High School. It is the oldest of three high schools in the Dublin City Schools district, and serves the southern and central parts of the District, this differs from Willard Coffman Middle School (formerly called Willard Grizzell Middle School). Supporting new technologies, alt. energy resources, and energy independence to inspire homeowners, businesses, and communities to make smart energy decisions. Convert more sales and achieve higher customer satisfaction rates by getting more from your training investments. Learn how. Online lending, loans and cash advances. Quick help for life's emergencies, with outstanding personal service. Kinetics Noise Control manufacturers innovative products and solutions to control airborne noise, isolate structure-borne vibration, enhance room acoustics, create quiet spaces, and restrain non-structural building systems. The country's most successful restaurant chains rely on SYGMA to supply everything from fresh beef and produce to silverware and cleaning supplies. The domain name BBCM.com is for sale. Make an offer or buy it now at a set price. Undeveloped keeps you safe.